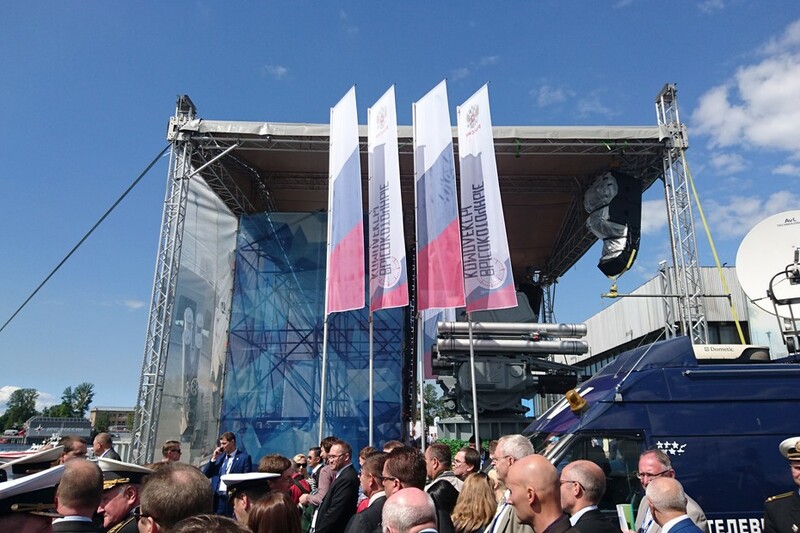 Presentation of anti-aircraft artillery weapon system PANTSIR-ME in Saint-Petersburg in the end of June this year was an absolute sensation in the world of military innovation. The system provides the ultimate protection against modern air threats, including small-size unmanned aerial vehicles. The naval missile and anti-aircraft artillery weapon system Pantsir-ME developed by the Tula KBP (part of the High Precision Weapons Holding of Rostec State Corporation) provides the ultimate protection against modern air threats, including low-flying and small-size unmanned aerial vehicles. The creation of new innovative defense complex confirms the fact that Russian High Precision Weapons Holding is one of the world leaders in creating modern weapons. The High-Precision Weapons Holding (a part of the Rostec State Corporation) was founded in 2009. The holding consists of a number of largest leading defense enterprises that are well known on the world arms market. It is sufficient only to mention such brands as the JSC Shipunov KBP Instrument Design Bureau”, the “Tula Arms Plant”, “Tulatochmash”, the “Tactical Missiles Corporation”, the “Nudelman Precision Engineering Design Bureau”, the “Kovrov Electromechanical Plant”, the “V.A. Degtyaryov Plant”, the All-Russian Scientific Research Institute “Signal”, and others. As of today, there are 19 companies joined in the holding. Most of them are national and international leaders in their segments. Such a success (the holding did not belong to the world’s top 100 weapons manufacturers before) can be explained by increasing deliveries both to the Armed Forces of the Russian Federation and to the foreign market. According to an SIPRI expert, “the Russian companies ride the ground-swell of boosts in military spending and arms export. Eleven companies from the top 100 list are Russian ones. Their income has increased by a total of 48.4%”. It also can be noted that the High-Precision Weapons Holding belongs to the top 10 world’s defensive rankings by an overall production and supply increase rate. Holding is existing export contracts and the conclusion new is being conducted almost constantly. There is every reason to believe that results of 2017 will surpass last year's figures, when the High-Precision Weapons recorded the high efficiency of their foreign economic activities. The products of the holding’s companies are well known on all continents and much sought after on international arms markets. Interest in the products of the “High-Precision Weapons Holding” grows due to the objective situation. The exports of the holding are based on warfare systems well known on the international market such as “Pantsir-S1”, “Palma”, “Kornet-E”, “Konkurs”, “Metis-M1”, “Igla-S”, “Arkan”, “Verba”, “Shmel”, “Kapustnik”, and others as well as on training systems, armored vehicles upgrade, and so on (for more details, see this issue of the newspaper “High-Precision Weapons”). The holding’s products are well known and much sought after on the markets in the Middle East, the Gulf, Northern Africa, Latin America, India, Central and Southern Africa. The holding is constantly expanding the geography of its exports. This is due to product line extension, development of new models and upgrade of products in demand as well as well thought-out service policy. The holding invests much into the development of promising designs of weapons and military equipment, enhances and augments its development and production potential, and invests in the development of models of tomorrow. It is evident that the demand for high-precision weapons only increases around the world. They do not miss. They are mobile, fast, maintenance-friendly, reliable, and the most modern. The newest technological solutions are used. 20 years ago, the proportion of high-precision weapons used in local conflicts amounted to up to 7%. In recent years, this share has increased by up to 90-95%. The most designs of the High-Precision Weapons Holding are the best in the world and determine the technological vectors of development in their segments. In 2016, the High-Precision Weapons holding toped the planned revenue value by more than one milliard US dollars. The holding is gradually taking a more important position in the global arms market. A considerable amount of holding’s production enterprises supplies is carried out serving the interests of many regions. Moreover, the arms produced by the holding constitute the basis of high precision weapon park of many countries. The High-Precision Weapons holding is the biggest developer and producer of the top-notch high precision weapons in Russia. Experts in the global arms market confident that interest in high-precision weapons in the world will only grow. Therefore, the demand for the products of the leading Russian holding will also grow from year to year. However, we will continue the story about this year's sensation — Pantsir-ME. High engagement effectiveness is determined by the new features implemented in the Pantsir-ME system. The modular design remains intact: 1 command module and up to 4 combat modules depending on ship type, which allows a flexible defence. The combined missile and artillery armaments ensure an effective engagement of all types of targets within the whole range of field conditions and counter-weapons with a potential for further development until 2020-2025.